The Sax Institute invites you to attend a one-day short course on “Introduction to Economic Evaluation in Health”, conducted by experienced health economists from the Sydney Health Economics Collaboration (comprising the NHMRC Clinical Trials Centre, University of Sydney, UNSW, The George Institute). An understanding of the policy process with regards to the Pharmaceutical Benefits Advisory Committee and the Medical Services Advisory Committee. This introductory seminar will be of interest to researchers, policymakers, clinicians and other health care workers with little to no experience in economic evaluation. No prior knowledge of economic evaluation is required. Each participant will receive a spiral-bound book of lecture slides, workshop exercises and references. 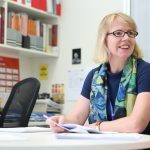 Associate Professor Rachael Morton is a Principal Research Fellow in the Faculty of Medicine and Health, Director of Health Economics at the NHMRC Clinical Trials Centre, University of Sydney, and President of the Health Services Research Association of Australia and New Zealand (HSRAANZ). Rachael specialises in trial-based and modelled economic evaluation, and elicitation of patient preferences using discrete choice experiments. Her research incorporates patient-centred and economic outcomes into clinical trials of diagnostic tests, new treatments and models of care to facilitate policy decision-making on the basis of cost-effectiveness. Rachael has published more than 120 papers, advised several government bodies and committees including for the European Union, the Australian Government Department of Health as well as Australian state health departments, and the Economic Subcommittee of the Pharmaceutical Benefits Advisory Committee. RSVP: Places for this seminar are limited to 35. Please register for this event by 5pm Tuesday 6 August to secure your place.